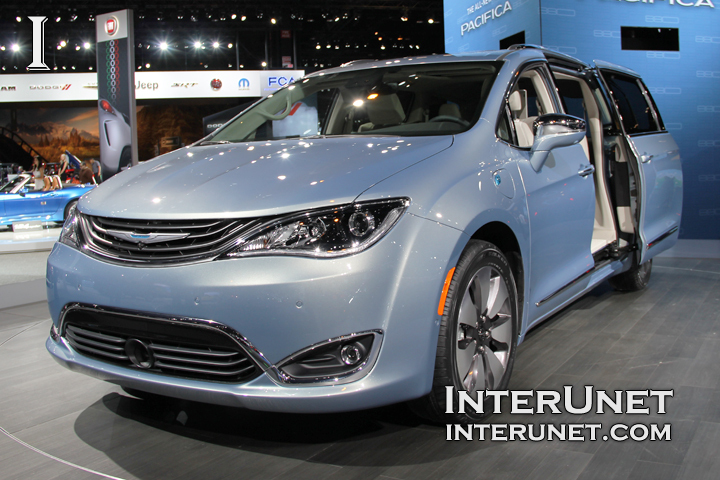 2017 Chrysler Pacifica Hybrid – new family minivan. New plug-in hybrid minivan can move 30 miles on electric drive only. It means if you use the car for short trips only the projected fuel economy will be close to 80 miles per gallon. The car equipped with efficient 3.6L v6 engine which generates 248 horsepower, 16-kWh electric battery and dual electric motor. 2017 Chrysler Pacifica Hybrid features advanced safety system including lane departure warning, forward collision warning, automatic braking and adaptive cruise control. Automatic parking and 360-degree camera view are available on a new minivan as well.